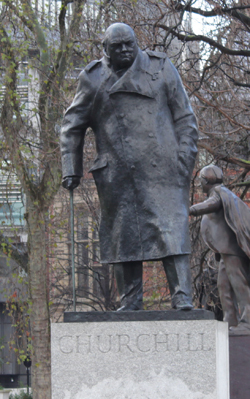 London Chronicles #27: A Morning with the Royals! We woke early on our last morning in London to give ourselves a few more hours of sightseeing before the tour bus came to take us back to Heathrow. 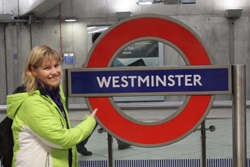 Having skipped a few key sights, we hopped on the Tube and headed for Westminster by way of the Embankment. 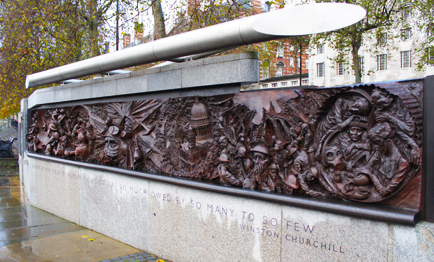 Our first stop was the Battle of Britain Memorial on the shore of the Thames. The memorial is really amazing. 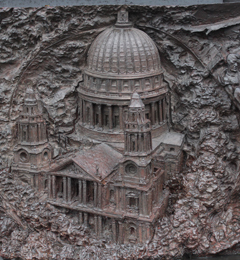 It was dedicated in 2005 to commemorate the 65th anniversary of the Battle. It highlights various events in the nearly four month long siege designed to annihilate the Royal Air Force. 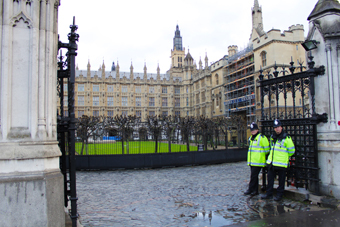 We headed back past the House of Parliament. The bobbies were particularly laid back that morning. 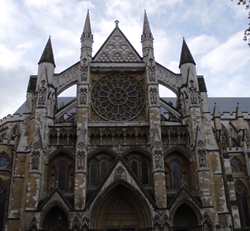 Just past Big Ben, we finally made it to Westminster Abbey, church of the royals, which dates back to 1065. It has been the location of countless coronations, weddings and funerals since then. We didn’t have time to take the 90 minute guided tour of the inside since we were on the clock, but the Gothic facade was absolutely gorgeous. The detail on every bit of the building was overwhelming. I can only imagine how beautiful it is from the inside. 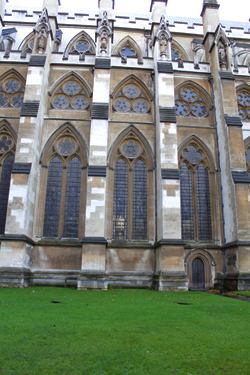 As we stood outside and marveled at the majesty of the area, we spied a little stone church wedged between the House of Parliament and the gorgeous Abbey. 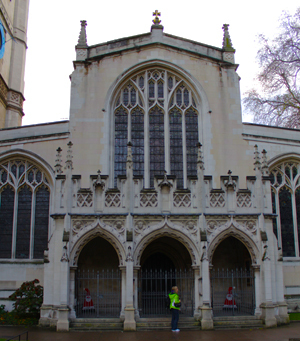 It was called St. Margaret’s Church and is the working church for the House of Commons. It turns out it is also the burial site of Sir Walter Raleigh (See Tower of London). As you stand with your back to the Abbey, there is a beautiful lawn and courtyard ringed with statues, monuments and other important buildings. It is said that if you drive a vehicle onto the lawn, it will sink into the Underground. 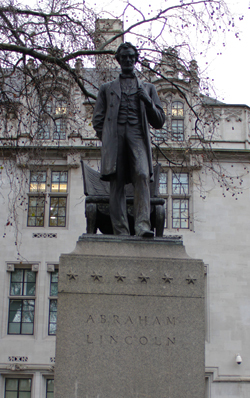 We headed west from there and found ourselves outside the New Scotland Yard (boring office building). 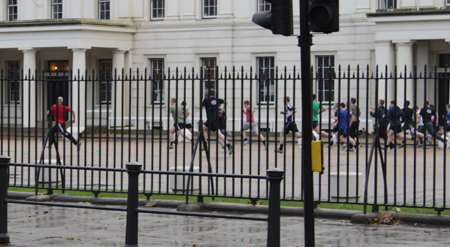 Just a few blocks up, we stumbled across the back of the Royal Guards where they were either training or holding tryouts. It was pretty cool to get a glimpse behind-the-scenes. 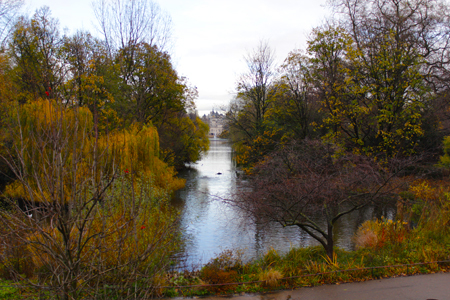 We walked a bit further along St. James Park. It was really beautiful even though it was drippy and cloudy. 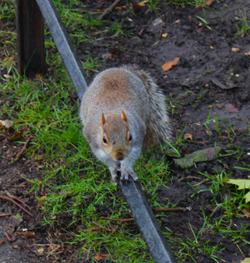 The squirrels in the park were especially friendly and Hubby held a rather long conversation with one of them. 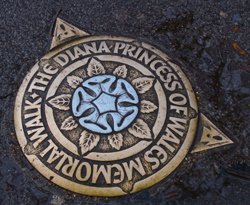 As we got closer to Buckingham Palace, we came across the Princess Diana Memorial Walk. 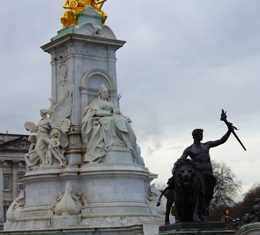 Our first sight once we got to Buckingham Palace was of the Queen Victoria Memorial out front. It is rather unmistakably her. The palace itself was rather unimpressive and I kept thinking that couldn’t be it. After the gothic splendor of the House of Parliament and Westminster Abbey, the ‘palace’ seemed plain and unimpressive. After being extremely underwhelmed by Buckingham Palace, we headed back to the hotel to pack for home.